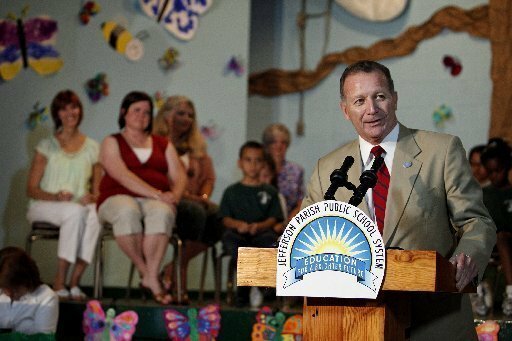 This week, our colleague Peter Cook will complete his four-part series on the education reform process in the Jefferson Parish Public School System in Louisiana. Click here for Part I and Part II. Part IV will be posted on Thursday. While it’s exactly the kind of clear-cut statement that one might expect from a former colonel in the Army National Guard, Meza’s tenure in Jefferson Parish has shown that he is not easily pigeonholed. Over the past two years, Superintendent Meza has demonstrated an uncommon ability to build support on the board and in the community around his initiatives. As a result, he has been able to push through a series of far-reaching reforms in rapid succession. Immediately following his appointment, Meza shifted nearly every senior district administrator to acting status, making clear that the decision to renew their contracts would hinge on their performance. He also initiated a high-level review of the district’s policies and academic performance to identify JPPSS’s strengths and areas-for-improvement. Superintendent Meza addresses an audience in JPPSS. When he presented his findings in a presentation to the board two months later, Meza put forth a strong case for a radical change in the structure of the central office from a top-heavy bureaucracy to a decentralized support system focused on the needs of schools. In addition, he outlined his plan to give schools greater autonomy over their use of time, money, and talent, while holding them to higher expectations for performance. Although his proposals won the support of the school board, not everyone was enthusiastic about the changes outlined in Meza’s plan. For example, when it became clear that layoffs were necessary to offset a projected budget shortfall, Meza’s plan to base reduction-in-force decisions on performance rather than seniority was challenged by the local teachers’ union. Furthermore, his intention to close or consolidate a handful of chronically low-performing, under-enrolled campuses ran into opposition from members of those school communities. 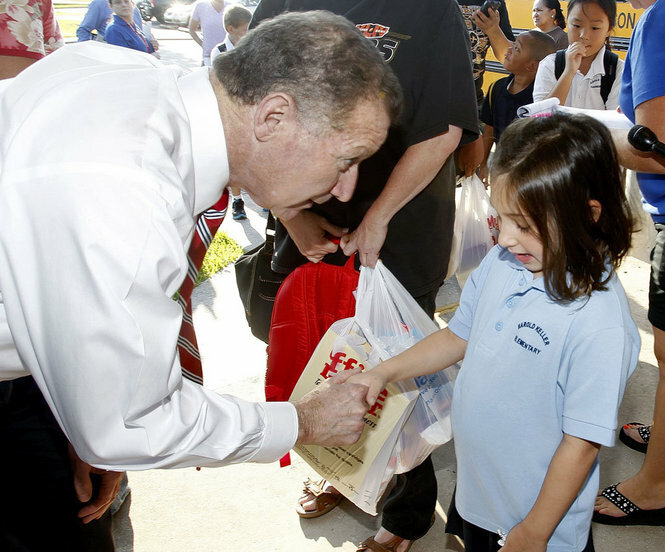 Superintendent Meza greets a young Jefferson Parish student. On Thursday, we conclude our four-part series on Jefferson Parish, with a look at Mass Insight’s role in developing the district’s reorganization plan.